Visual Studio Code>Other>Markdown Preview with Bitbucket StylesNew to Visual Studio Code? Get it now. 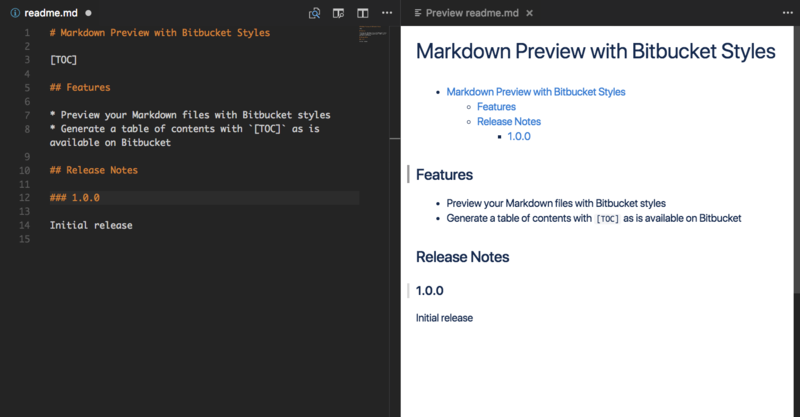 Replaces the Markdown preview with Bitbucket styles.